Printed on premium quality aluminium sheet plate. Four holes drilled for easy hanging. Measures 150 x 200 mm. Exclusive to us. Written by us. 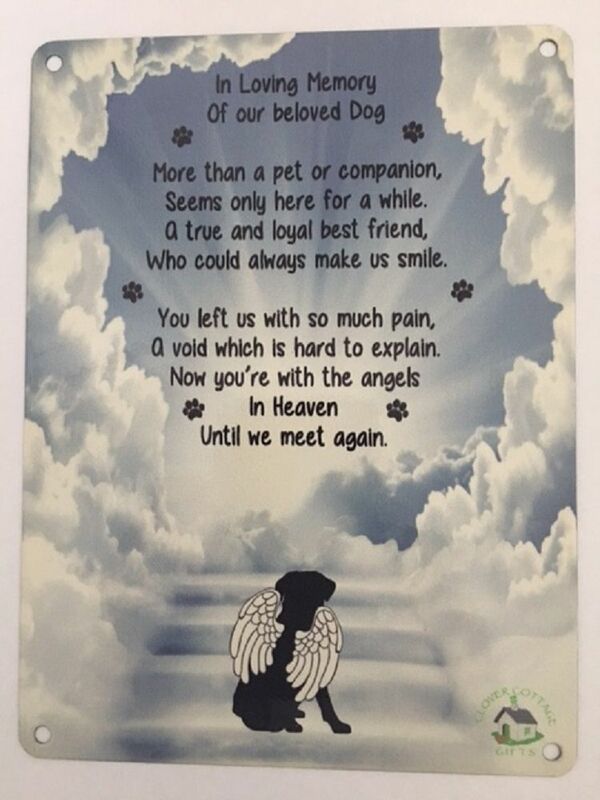 The poem is for our beloved dogs who have passed. Never ever will they be forgotten.